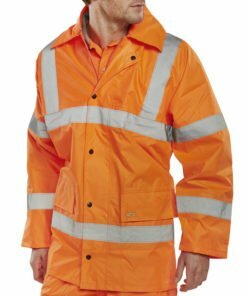 This bomber jacket hi vis is made from a heavyweight polyester Oxford outer shell with PU coating. 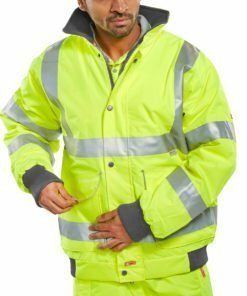 It features a press stud flap, Quilted lining, Fully taped seams, 2 Lower front pockets with flaps, Internal breast pocket and a concealed hood/drawcord in collar. 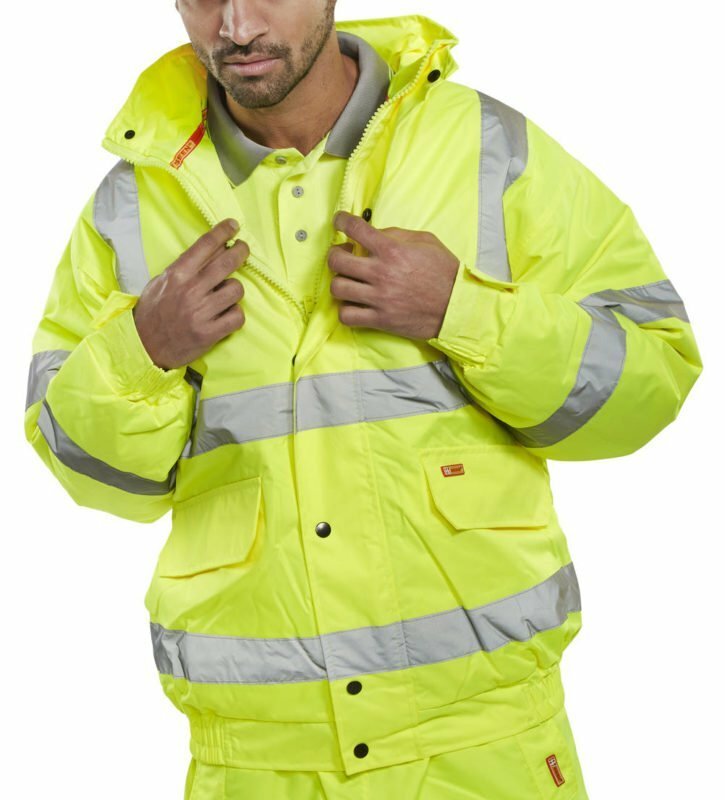 An ideal hi vis winter bomber jacket for wearing in the colder months. 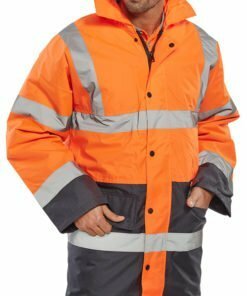 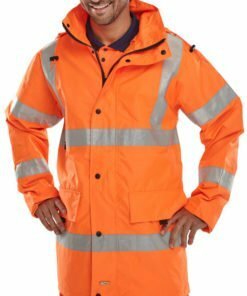 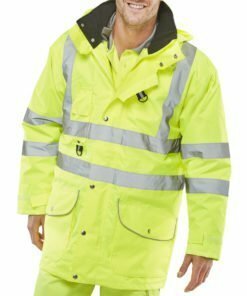 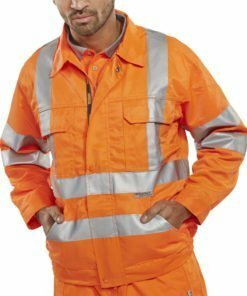 This hi vis jacket conforms to EN ISO20471 Class 3 High Visibility and EN 343 Class 3 Resistance to Water Penetration and Class 1 Air Permeability. 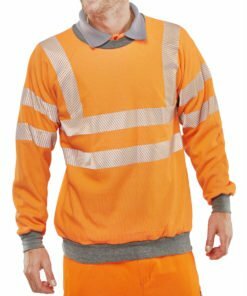 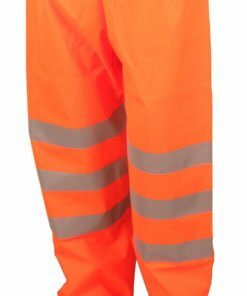 Part of our range of quality hi vis clothing.